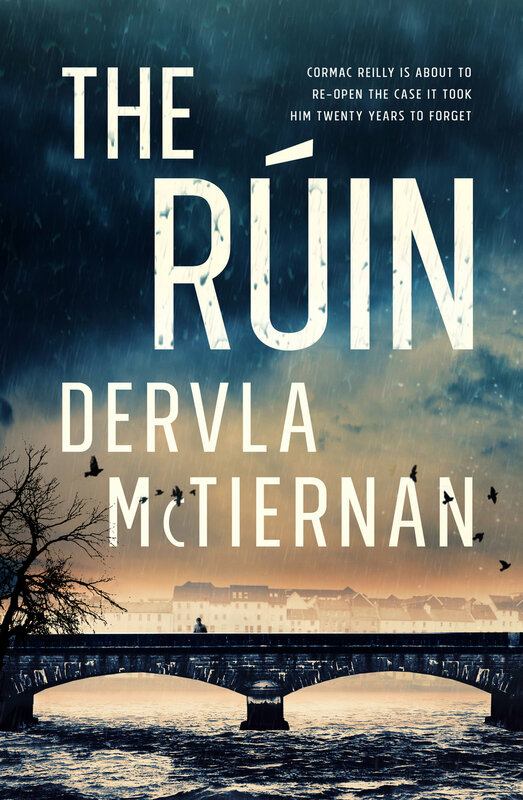 DERVLA McTiernan’s debut novel The Rúin has earned the first-time author high praise and gone straight to the top of the book charts for fiction and crime. McTiernan, who was born in Cork before her family settled in Galway, has been in Australia since 2008 and lives in Perth. The author’s success comes after a serious health scare. The mother-of-two said she will never forget a particular day in 2016 because it wasn’t only the day she got a positive response from a literary agent but also the day she found out she had a brain tumour. Although it was mercifully benign, it was also invasive and carried risks of blindness, pituitary failure and a much-shortened life. “It all came at exactly the same time, literally the same day,” she told the Irish Echo. “I got my first email from a literary agent in New York within 20 minutes of being told I had the brain tumour. I was still in the car park outside the GP’s office. It all came hand in hand after that. I had the surgery three weeks after diagnosis. “All the doctors said the tumour had to come out because otherwise it would ultimately kill me. It might take time, might take a few years, but it would eventually and I would certainly lose my sight in the interim. Fortunately, she made a complete recovery. Writing, she said, has helped. “Because it’s such a slow recovery, it doesn’t always feel like you’re going to get there but for me having the book going on at the same time was just amazing because I got to feel and think about how lucky I was instead of thinking about how hard things were, you know? And I think mindset makes such a difference. While it was a very weird, bizarre year, I think the timing was brilliant actually. “I’m still here to write another day.” The narrative of The Rúin (secret in Irish) centres around Cormac O’Reilly, a garda who returns to Galway to be confronted by an old case that has always haunted him, the apparent drug-related death of a parent that he encountered as a trainee garda. When one of the two children that the mother left behind is believed to have committed suicide, Cormac looks into both deaths to find out if either were as they seemed. The story is initially set in 1993, giving a flavour of the Celtic Tiger and the church’s privileged position in Ireland, but also the abuse of that power and the fall of them both. Revelations of child abuse within the Catholic Church and subsequent efforts to protect paedophiles turned many people against the church. “Even the older generation, people who would have gone to Mass every single Sunday without fail, just can’t feel the same way about it anymore. “They’re hearing about times when they would have had enormous respect for their parish priest and then finding out what was really going on has been horrific,” she said. “As all of these reports come out, particularly say with regards to the industrial schools, people say, ‘I didn’t know’. The Irish papers were full of people saying ‘nobody knew what was going on’. When I was growing up, if kids misbehaved, the direct words would be: ‘If you don’t behave yourself, you’ll be sent to the Christian Brothers’. It was the thing that people waved over their head. It was the bogeymen in a way so there was obviously some awareness that it was not a good place for children to be. I couldn’t reconcile how people that I know to be extremely good people just let that stuff happen. The Rúin may be an Irish story but McTiernan believes that leaving Ireland gave her the space to write it. “I was a lawyer in Ireland. I was working long hours. I wasn’t enjoying it but I kind of felt like it was what I was supposed to do. Kenny [her husband] and I had both played by all the rules: We did the responsible degrees and took the responsible jobs and it really didn’t work out. Dervla’s second book The Scholar is already written and she is contracted to write one more after that. There is likely to be interest in bringing the series to the screen. The Rúin is published by Harper Collins Australia.